I’m helping lead a mission trip to Italy in a few short weeks. One member of our team came up to me early in our training and asked “How much does a typical train ticket from Rome to Naples cost?” I answered with my standard response “It depends.” I directed her toward the trenitalia website. As I thought about it, I realized, the site isn’t very straight forward and it might be helpful if we covered how to look up train prices via the website. 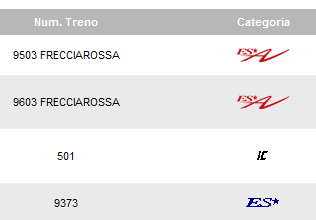 First go to trenitalia and look at the top right hand side of the page. There click on the British flag to change the language to English. Pull down fields. On the left hand side of the page there are fill in menus to indicate where you are going to and coming from. Dates. Fill in the dates you plan on traveling. If you just want to get an idea of the price, the date does not have to be exact. To check the departure times of a train you want to at least include the exact day of the week – I’ve found most schedules run them times on the same days of the week. Time. This is the field that often confuses people. In Italy they require you to indicate the time of day you wish to travel. Most of Europe uses military time, so keep that in mind when you fill out those fields (one for the hour, one for the minute). Trains. It can get very difficult to understand the differences between trains. There are two main trains you must be familiar with: the Eurostar, and the intercity. The Eurostar trains, indicated by the red ES*A category, stop at main stations that run along a north to south route. The six major stops are: Milano, Bologna, Firenze, Roma, Napoli, and Salerno. Any stop along these routs you can get there fast and in style. Any other city or stop you will need to take an intercity train, indicated by the bold iC category. The Eurostar trains are fast especially is you want to get between major cities quickly – but it costs more. It’s a great way to travel. I have always said the intercity train is ridiculous for one reasons. It stops at every vineyard, Roman ruin, and castle in the country along the way your destination. The one draw back to the iC trains is they aren’t cheap. Ticket prices often remain the same throughout the year per route. This is the method I use when I am budgeting for my in country transportation costs. I highly recommend it. * The photos were screen shots taken from my computer the day of the post. Thank you, and thanks for the generous comment. Have you traveled to Italy? Thank you for reading it. Keep in touch. wonderful insight. Really enjoyed looking over this blog. What would you recommend about your submit that you made a few days in the past?